The day before Thanksgiving is a great day at the Greensboro Farmers Curb Market . A great day for sweet potatoes. 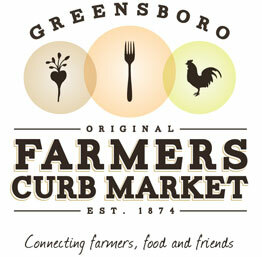 Greensboro’s Farmers Market was established in 1874 by the City of Greensboro which was then emerging from Reconstruction with a freshly vibrant economy. Greensboro’s mayor was Cyrus Mendenhall, brother of Guilford College’s Nereus Mendenhall. Cyrus Mendenhall was one of a group of Greensboro lawyers (another was his friend, school mate and business partner, John Motley Morehead) who were at the time creating new civic, business and governmental institutions, one after another. Mendenhall was a lawyer, banker, insurer, manufacturer, cotton broker and an organizer (with Morehead and others) of the North Carolina Railroad. As Mayor of Greensboro, Mendenhall established North Carolina’s first graded schools, the Mayors Court (a precursor to later municipal courts), city streets and sanitation works, free vacinations for local citizens, and the City-owned farmers market. Today, Greensboro’s Farmers Curb Market is among only a few tax-exempt farmers markets in the country. The IRS views most farmers markets as merely marketing arms of participating farmers, and refuses to find anything other than a private, for-profit purpose in them. But the Greensboro Market has been a municipal enterprise from its 1874 beginnings. When the Market was reorganized recently as a stand-alone organization, Brooks Pierce nonprofits lawyer Bob Saunders drew on this history (and his own legal prowess) to secure 501(c)(3) status for it. One of few. Russell and Jennifer Farlow of the Farmers Market and Farlow Farm in Archdale (2062 Ebenezer Church Road) advocate for this tax-free hummus. The verdict is not yet in from the test kitchens. Savory or sweet? Food processors, tools of synchronicity. Thanksgiving hummus – are sweet potatoes more down home than chickpeas? The claim is made that chickpeas are supplanting tobacco on American farms. Hummus is rising. But I’m not seeing chickpeas in eastern NC – not in Edgecombe County. What I see is sweet potatoes. Indubitably, sweet potatoes are down home in the Old North State. 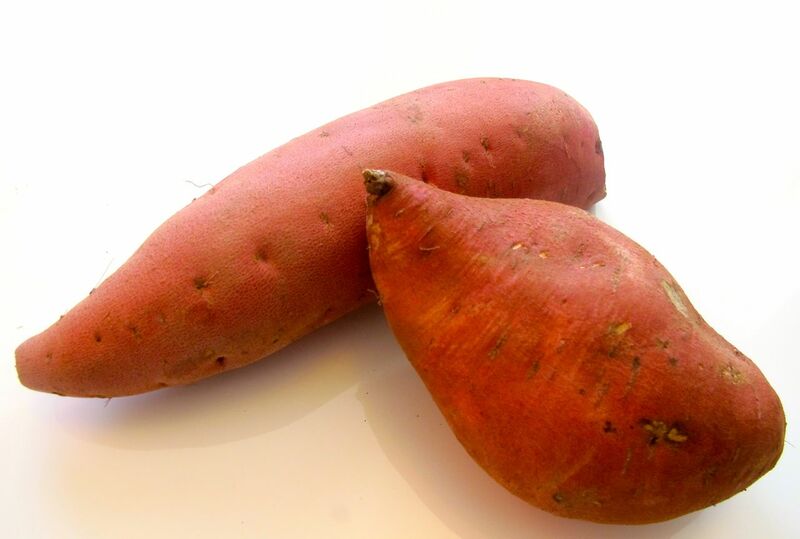 North Carolina grows 50,000 acres, 47% of all the sweet potatoes in the United States. Now: Sweet Potato Hummus. Turns out there’s a whole wing of the Internet that’s devoted to sweet potato hummus recipes. Are sweet potatoes driving chickpeas from hummus? The conservative in me says go slowly here. The peoples of the Levant have been making hummus with chickpeas for upwards of three thousand years – in fact, ever since food processors were invented. Neither lightly discard the chickpea nor blithely underestimate the sweet potato. Tuberous root, or legume and pulse? It’s a hummus question. One after another, pundits are predicting that 20 or 25 years from now computers will be able to do virtually everything we can. No need for us. 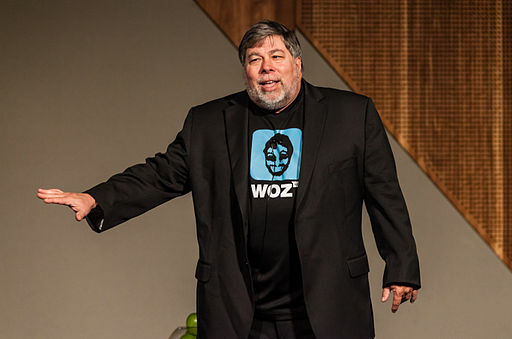 But here comes Apple Inc. co-founder, Steve Wozniak, speaking at the Internet Summit in Raleigh last week, to disagree. Wozniak says we are at the end of Moore’s Law. “Moore’s law” is the observation that, over the history of computing hardware, the number of transistors in a dense integrated circuit doubles approximately every two years.” It predicts the expansion of computers’ capacities to do more and more things in smaller and smaller machines. Wozniak says we are nearing the end of this. We have reached the point now, he says, where we can record a bit of information on as few as 8 electrons. There’s just not that much further to go, he says. So Wozniak told us that our brains will always be able to do things that computers can’t. I don’t know, but I’m keeping mine for now … just in case – and I’m giving it a liberal education with a lifelong learning kicker. That values-based critical thinking will whip a computer every time. With electrons to spare. Grady Barnhill died last week . He was among North Carolina’s premier lawyers and, one surmises, the greatest litigator Whitakers has ever produced, although he made his career in Winston-Salem. 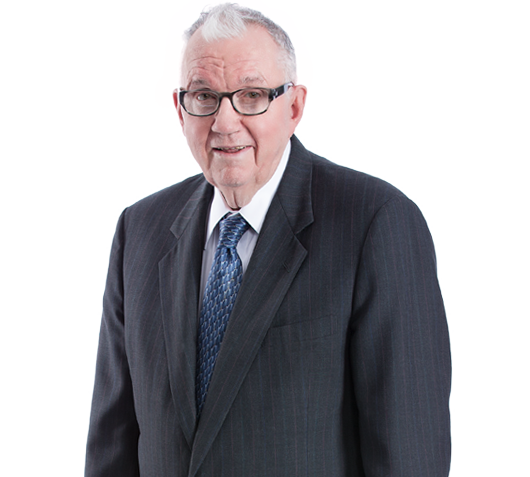 Grady was a partner and leader of Womble Carlyle Sandridge & Rice, the great Winston-Salem law firm. He was the archetype of a litigator. He was determined, tenacious, and tough as a root – and he was realistic, client-focused and (at least in my experience) totally devoid of nonsense. He was about resolving cases favorably for clients, not playing lawyer games. I admired him. Our profession was much the better for him. Grady’s death calls to mind something I wonder about from time to time. How is it that so many exceptional lawyers have come from the small towns along Edgecombe County’s western border? Whitakers, Battleboro, Enfield. Originally, all three towns were part of Edgecombe. Enfield was peeled off when Halifax County was formed. Whitakers and Battleboro, like Rocky Mount, sit directly on the county line, which was established in the 19th Century by pushing Nash County’s boundary to the east (said to have been done in order to dilute the African American vote). The Wilmington & Weldon Railroad had been routed up that path when the builders of the railroad agreed to move their tracks east in order to attract funding from Tarboro and Edgecombe investors. The county line was later moved to the railroad. from Whitakers: Grady Barnhill, exceptional trial lawyer, exemplary professional, and key builder of a great and enduring North Carolina law firm. Former Guilford College trustee and person of many parts, Ann Trueblood Raper, has written yet another book (this one following her National Continuing Care Directory: Comprehensive Information on Retirement Facilities and Communities Offering Prepaid Contracts for Long-Term Care, published in 1984). Raper’s latest goes in a new direction: love crossing boundaries between Quakers at a time when tensions were high within the divided sect. With this story – a Hicksite cavorting with an Orthodox Friend, trysts at Earlham and Westtown, star-crossed lovers seeking to unite the tribes – Raper has ripped the covers off a previously hidden story of love, religion and revival among Friends. 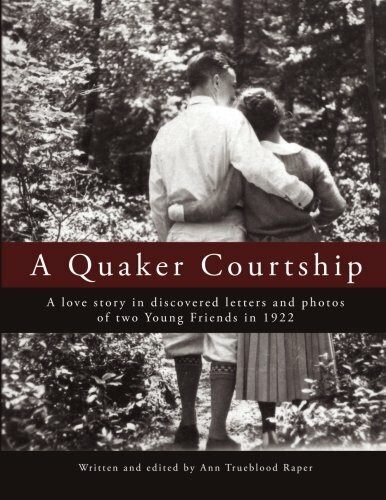 Just published, the book is A Quaker Courtship: A love story in discovered letters and photos of two Young Friends in 1922. This is an exquisite book. Despite the formality of the times and the serious issues they were confronting, the couple’s letters reveal a sweet and playful relationship that I found quite moving. Fascinating setting, thoroughly enjoyable story. One hesitates to reveal the outcome of the story — but history shows that the issue of this union went on to provide leadership and support for Quaker institutions from Westtown School to Earlham College, Guilford College, the Philadelphia Yearly Meeting and many more. Fruit of a once-forbidden union. At one time many politicians opposed federal funding for civil legal aid because they were concerned that the money was used to fund social justice litigation. 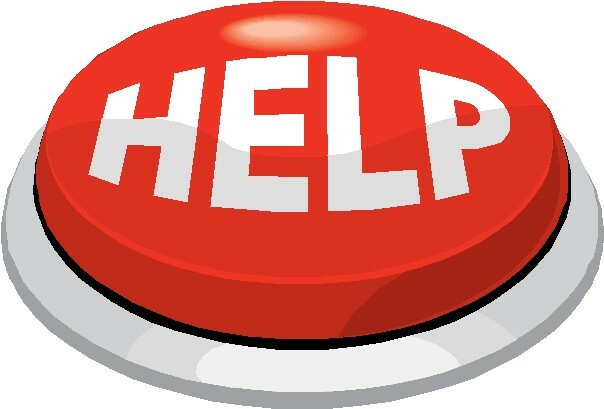 Well, now the focus of legal aid is on domestic violence, consumer scams, seniors, veterans, the disabled, housing, and protecting household income. Some of this work may be about social justice, but mostly it is about providing assistance to people who can’t afford legal services and protecting their rights in a complex, law-bound society. In a society that is dependent on contracts and rules (private and public), affordable justice is necessary – else the society will not work – but in North Carolina right now, legal services are not readily accessible to 20% of citizens and 80% of their needs are not met. Non-lawyers can be allowed to do the work under appropriate conditions. If I had to give a grade for fairness to a social system that is centered on rights, agreements and responsibilities but where 20% of the people have limited access to legal help, I’d have a hard time getting above a C, or a C-minus. What do you think? I love the future. It is so nice there. 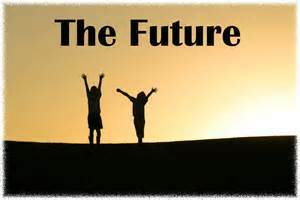 Credible thinkers are predicting a future, not all that far off, in which energy will be nearly free, clean and unlimited. Machines will do most of the work and much of the thinking and creating. The word is Abundance. Literally, these thinkers are saying that energy from the Sun will fuel your car at almost no cost; and you won’t need to drive because a machine will do that for you. That’s coming in about 20 years. These are serious people. They are serious about this. Why don’t we just go with it? Let’s go to the beach. + Equity partners’ rewards (largely) linked to revenues introduced and managed. Mid-size firms must to steer among these same rocks. But we have more choices, easier alternatives and better opportunities for change. Think nimble. Be agile. 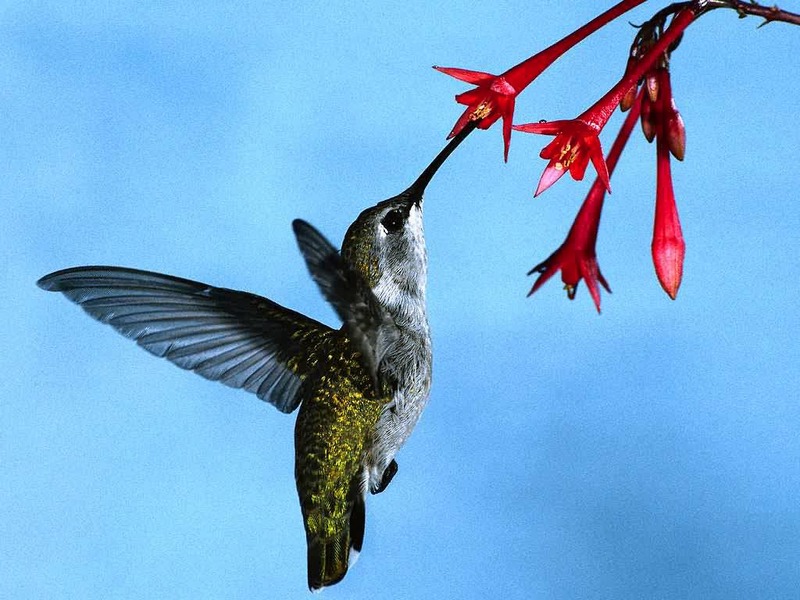 Today though, it takes up-front money – and it’s got to be about more than revenues. Is it only people who were reared in Eastern North Carolina and later lived for a time near the Mediterranean who see a kind of cosmic significance to this report? 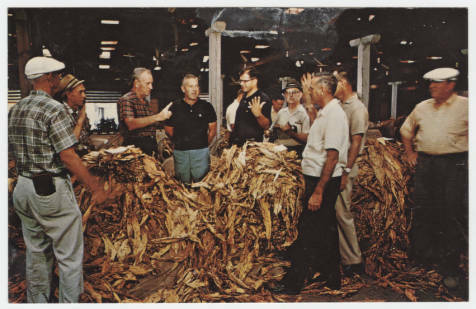 Oh well, from the start bright leaf tobacco was only the chance upshot of a guy in Caswell County who fell asleep in a curing shed shortly before the Civil War. Chick peas on the other hand, go back millennia (although some believe that hummus may have originated in Greensboro fifteen or twenty years ago as the upshot of the invention of the food processor and microwave oven).